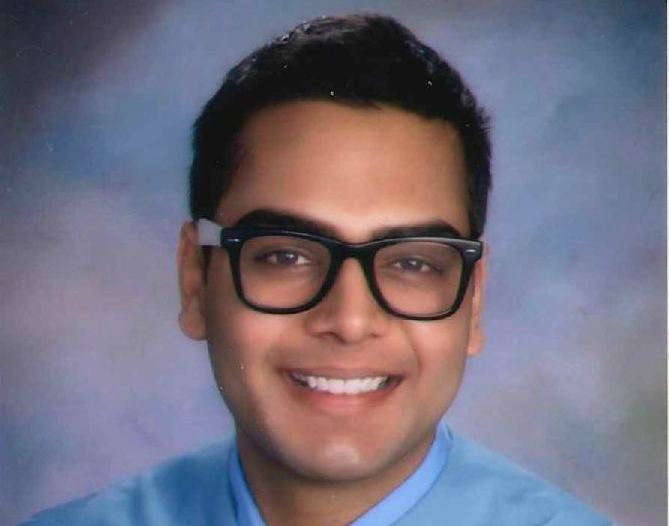 Kunal Kanodia is a Human Rights Major at Columbia College graduating in May 2017. Kanodia was an undergraduate winner of the 2017 Human Rights Essay Contest for his paper "Climate refugees, and their ‘refugee’ status." Prior to his senior year, Kanodia interned with TechSoup Global. Why did you decide to pursue human rights for your academic and professional path? I grew up in a small town in northern India called Allahabad, and then went away to boarding school at The Doon School in the Lower Himalayas. With these experiences, I began to realise that human rights advocacy was particularly important for the communities which I was part of. The widespread illiteracy, gender inequality, and caste bias present in the region made me realise that human rights advocacy was very important. It was important for this advocacy to be rooted in the grassroots, with impetus coming from these communities themselves. It was because of this that I decided to study human rights at Columbia, and this what I plan on focusing on in Law School. I am particularly interested in refugee and LGBTQ rights, and how international humanitarian law can be formulated to better represent them. How has the Undergraduate Human Rights Program supported you and enabled you to pursue your goals and interests? The Undergraduate Human Rights Program has been great in helping me identify opportunities, and counsel me about possible professional and academic paths I could take. Besides the monetary support available through various stipends and other sources of funding, the program has a very supportive staff that is always willing to go the extra mile in helping you figure out how to approach future career goals. How would you describe your fellow human rights students? My fellow human rights students are driven, passionate and inspiring. It is only by interacting with them through the core courses for the Huma Rights Major and outside the classroom that I have understood why human rights are so important, and how they need to be formulated to reflect our diverse experiences. I have made some of my closest friends through the human rights program, and their intellect and tenacity inspires me every day. Can you discuss your internship experience working in a human rights organization this past summer? I worked with TechSoup Global which focuses on providing non-profits in developing countries with the technological material and know how to improve on how they function. This was an exciting position. I was part of the communications team and helped redesign the asset management system. What skills and knowledge were particularly important for your internship? Knowledge of basic computer software and of the conditions that the non-profits in the developing world are working in was important. I most enjoyed putting together an interactive asset management system. What aspects of this position did you find unexpected or challenging? I found that I needed to learn a lot about human rights organisations while simultaneously working on the project. I addressed this by reaching out to organisations while completing the project at hand. Can you describe your future professional goals? I want to go onto work in this field during and after Law School. I think pro bono litigation can be pivotal in securing distinct rights in different contexts, and I want to play a role in this. Any other advice you would like to give to other students? I would advise them to step out of their comfort zone and take up internships and fellowships in areas and fields that they have no prior experience in. This might open up a completely new world of opportunities for them, or make them realise that that particular area is not for them. Either way, they would be doing themselves a great service.